Born in County Wexford, Ireland on 14 February 1847, he came to Canada at the age of ten. He grew up at Hamilton, Ontario then attended the Toronto Normal School before teaching at Thorold, Ontario for 11 years. In 1882 he and his brother Thomas came to Stonewall, moving the following year to Virden where they farmed 960 acres. 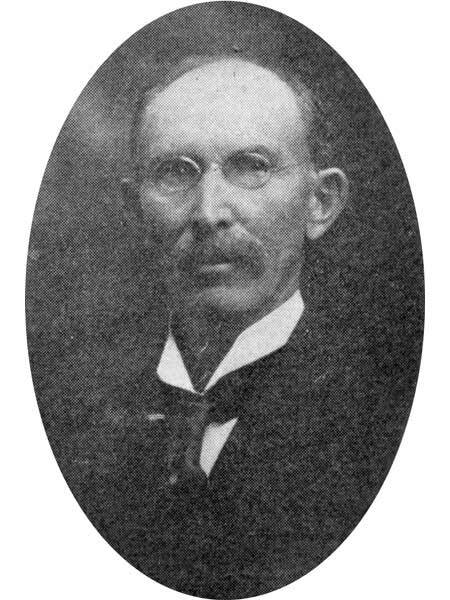 Scallion was the founder and first President of the United Farmers of Manitoba (when it was the Grain Growers’ Association in 1903) and a founder of the Progressive Party of Manitoba. He led the battle against excessive freight rates in 1910. He died unmarried at his home in Virden on 24 April 1926 and was buried in the Virden Cemetery. James William Scallion, Dictionary of Canadian Biography. “J. W. Scallion, leader among farmers of the west, is dead,” Manitoba Free Press, 26 April 1926, page 1.